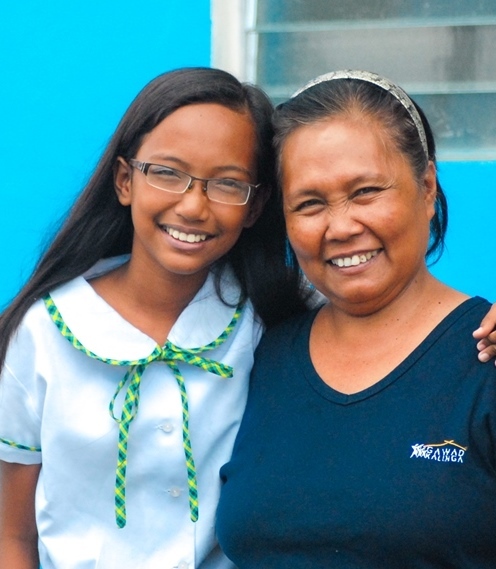 * Leilanie dedicates her achievement to her mother Merlita, whose unconditional love and extraordinary faith weathered all the challenges life threw their way. 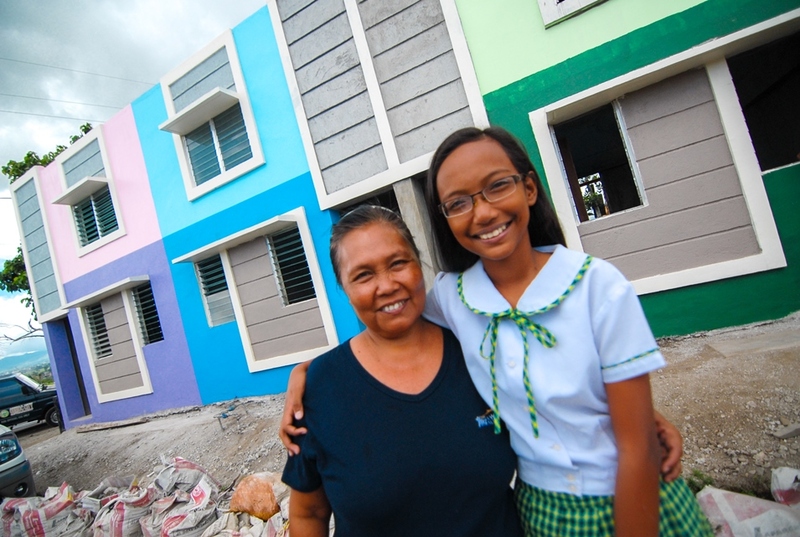 Merlita and Leilanie are residents of the Rotary-GK Village in Brgy. Tambulilid, Ormoc, Leyte. 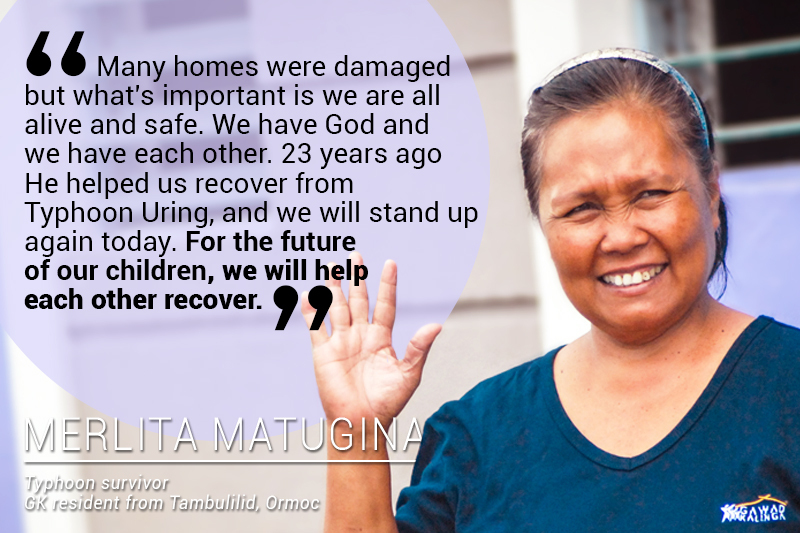 They are survivors of Typhoon Yolanda (Haiyan). Poverty is not a hindrance to success. Our beloved school principal, Mrs. Henrietta Managbanag, our dear teachers, my ever supportive mother, parents, fellow graduates, to our distinguished guests, visitors, friends, ladies and gentlemen, a pleasant morning to all of us. As the curtains draw down on this stage of our life, a new curtain opens that leads to a new stage that awaits us, our secondary years. But before even taking a step towards that new stage, allow me first to take a look back where we are started and on why we are here today, celebrating one of the most important moments of our lives. Perseverance, sheer determination, hard work, guidance from our teachers and full support and encouragement from our parents, accompanied by our strong faith and trust in God are the most important elements that brought us here. Life in SPED is not easy. We have to “burn our eyebrows” in order to come up with what the school aspires us to be. From academics, to extra-curricular activities, we have to sweat it out. You cannot claim a slot outright without proving you deserve it. That’s how we are trained, and I am very proud and thankful of that. Financial constraints are only a “grain of salt.” It’s just something that wanted to derail us but we have successfully stayed right on track. Who would think that with the meager earnings my mother has from selling candies and receiving some errands and a little support from my ate and kuya, they were able to support my studies. matters whenever I go to competitions that speak of monetary concerns. She always found ways and means in order that I can participate. And she tried hard to provide me with delicious dishes while she herself will be contented with just having “buwad” or “gulay” as her “ulam.” Just like many of us here, I am not born on a “silver platter” but my mother tried hard not to become that an obstacle. In front of my eyes, she has tried to conceal it. I am very very much thankful of that. Without your guidance and continued encouragement, I could not be here proudly standing in front of my fellow graduates. This medal that I received today is not only for me but for both of us who have tried very hard to earn this. To all of you who have supported me every inch of my way, thank you very much. Without your concern and without your wholehearted support, we could not have gone this far. To my fellow graduates, the road is still too far. We are just making headway. This is just the first part of a more challenging road. Let us continue to strive hard and strike hard as it says that, “there’s only one place in the world where success comes before work, it is only in the dictionary.” Let us do our part first. Let us work hard. To end, let me quote this, “a journey to a thousand miles starts with a single step.” We have made our first step. Let us continue. As I have said earlier, I was born not on a silver platter, but luckily my first step landed on a golden stair. Thank you very much and to all the graduates, my salute to all of us. Exactly 6 months after Haiyan (Yolanda) wreaked havoc in the Philippines, GK is now on FULL BLAST with Yolanda reconstruction. Now we need YOU to help SCALE UP so we can each more families faster. FIND OUT HOW YOU CAN HELP. But at the heart of this reconstruction work is the people. When life’s many storms pass, it’s people who decide whether to wither or recover, to give up or to rise again. It’s people who do the job of cleaning up after the aftermath and who carry the mission of lifting one another up and building back, better. And throughout life’s ups and downs, we know that we need to rely on people – on ourselves and on one another to rise above each challenge and move forward.